Commercial contract disputes in Beverly Hills California are almost inevitable. Between the many contracts that a business enters into every year with other businesses, customers and vendors, it is likely that a problem will arise at some point. These commercial contract disputes in Beverly Hills California can often mean lost productivity, lost profits and a diminished reputation in the business. If the case goes to court, much speculation will follow. Fortunately, mediation provides an effective solution to work out problems that arise in a commercial contract dispute. Mediation is a form of alternative dispute resolution that can be initiated at any stage of a case. It can even be commenced before a lawsuit is ever filed, a strategy that helps businesses keep their private doings from reaching the public. Agreeing to mediation before a case is filed prevents businesses from suffering backlash from other companies that may be reluctant to do business with a company that they find to be litigious. Mediation provides an expedited mechanism to resolve legal issues without the public nature of a lawsuit. A mediator assists the parties in negotiating a settlement on their own terms. Neither party is bound to any term until they both agree on it. A mediator is not a judge as he or she does not have the authority to impose a decision on the parties. The parties to a case can structure their own solutions in a way that they see fit, an option that a traditional court case does not allow. 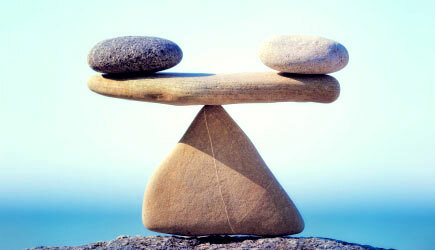 A distinct benefit of mediation is that it focuses on cooperation between the parties. Commercial contract disputes arise between companies that had already agreed to do business. Sometimes, these disputes involve parties who have done business for years. Mediation allows the parties to meet face to face to work out a solution, often allowing the business relationship to thrive.